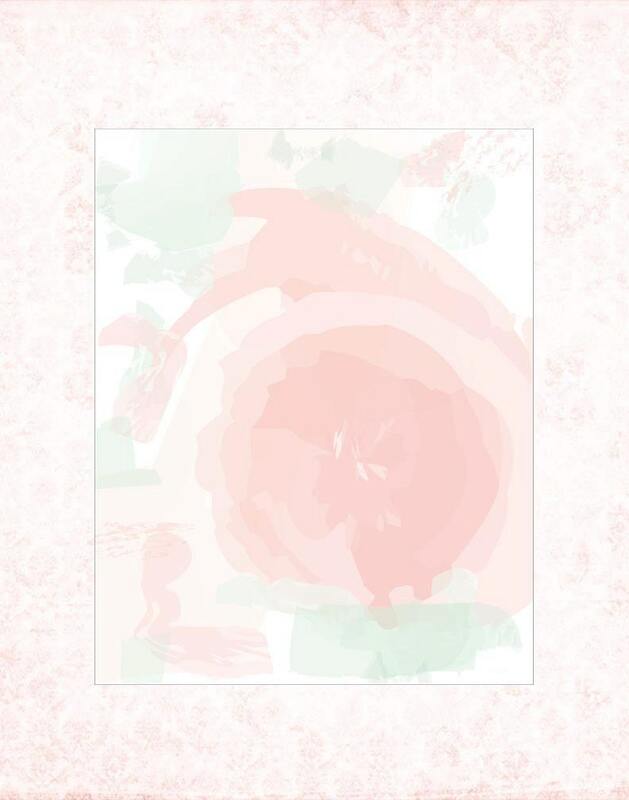 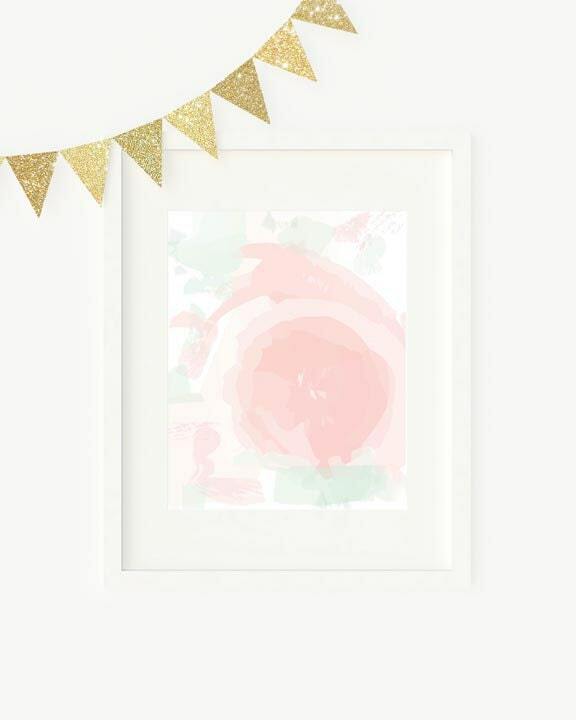 A soft and sophisticated pastel print digitally painted in an abstract style. 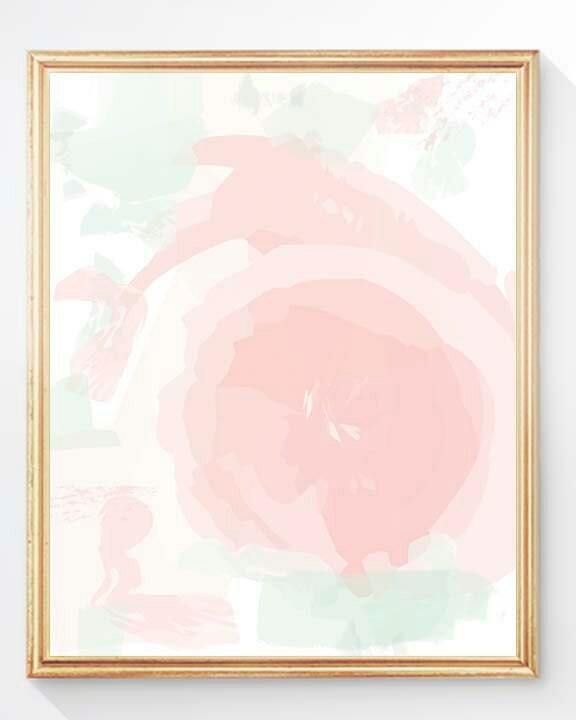 It features soft shades of mint and blush with an abstract rose. 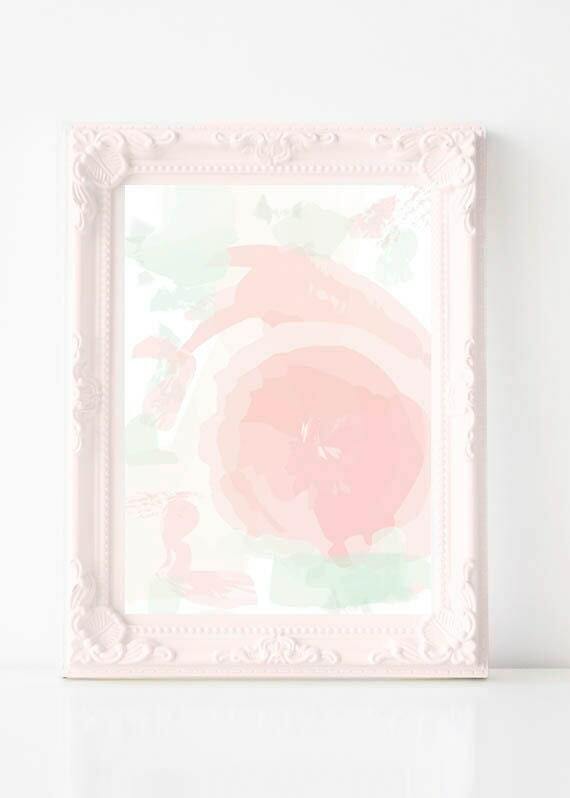 This would be a perfect addition to your gallery wall for a tres chic contemporary nursery or girl's room.